Things are going too well! “As I was singing along passing joyful messages about happy love, joie de vivre and a fruitful career, the opposite feelings gradually stole upon me” Bryan explains about the background for his new, darker and more profound EP, ‘Bryan / Pt. 1’. The 39-year-old singer soon learned that there is a yin-yang quality to all big emotions inside him; that love is not always rosy even though everything is going well. One thing balances the other, and music provides an equilibrium in his life. Consequently, the new EP features six songs about the bleak aspects of love: The struggle, the pain, the reliance, the longing, the lust and the sorrow. 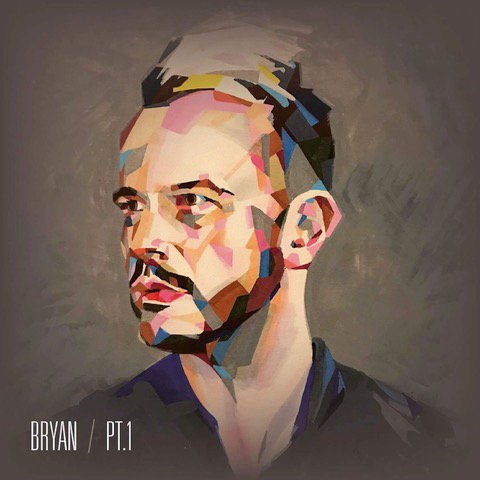 This time, Bryan’s music has a more electronic feel to it making room for the gloomy lyrics. Because of the vast difference between his previous releases and the latest one, Bryan chose to use a new logo, a new visual identity and notably just his first name ‘Bryan’ in the title. Polished and neat must yield to raw, straightforward and honest. The smart audience may already be puzzled by the EP title and what it points to. Read the latest newspaper here.